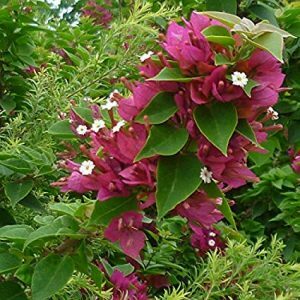 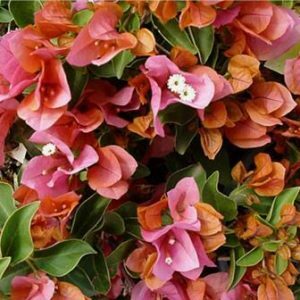 The beautiful Bougainvillea is native to Brazil, this woody shrubby vine is widely cultivated in semi tropical to tropical regions throughout the world. 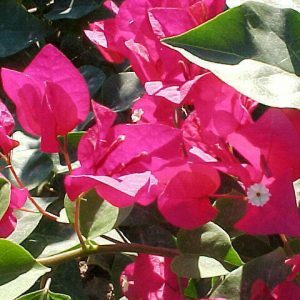 Bougainvillea can be grown as a container plant as well as in the garden areas, they can be cultivated and enjoyed in climates with cold temperatures and grown indoors in greenhouses and sun rooms. 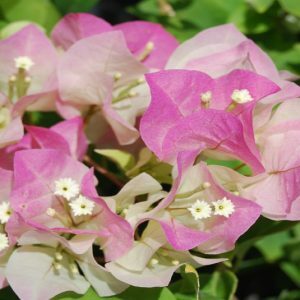 Plenty of bright light is essential for strong sturdy growth as well as for good flowering, temperatures should be about 60 degrees F during the growing and bloom season, hardy from zones 8-b and up. 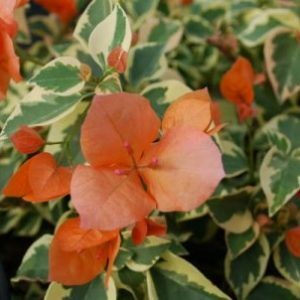 A well drained media is needed for optimal growth as well as a drying out period in between watering. 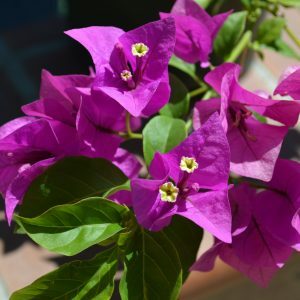 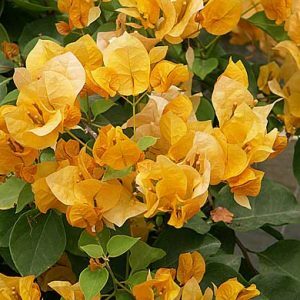 Bougainvillea can grow quite large filling an area very quickly, they can be pruned, shaped, and respond well to a spring grooming and quite drought tolerant once established. 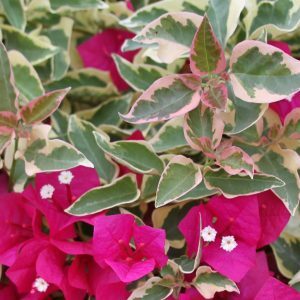 Sold in 3.5″ pots as rooted plants.